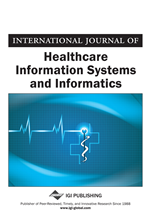 Information management is essential for health professionals in order to maintain a level of productivity for health care services management. This is significant when treating cancer patients. The main target of this study was to employ computers to enhance the daily practice of Oncology Unit (Sotiria Hospital, Athens, Greece). Accordingly, a computerized system was developed consisting of three modules: the EPR, the Image Archive, and the Lab Module. The EPR Module is a database application that stores clinical results, physician orders, and several administrative data. The Image Archive Module is used mainly for the reduction of images volume and the Lab Module stores information about the patient blood samples. These two modules interoperate through EPR Module under strict data security policies. Key physicians, biologists, and secretary personnel are involved in data entry and information management, while the system administrator is responsible for the system functioning. Improved health care, user satisfaction, and cost savings were the most important benefits gained with this system. The need of similar systems in oncology is crucial and could involve additional applications, such as quality of life (QoL) systems.